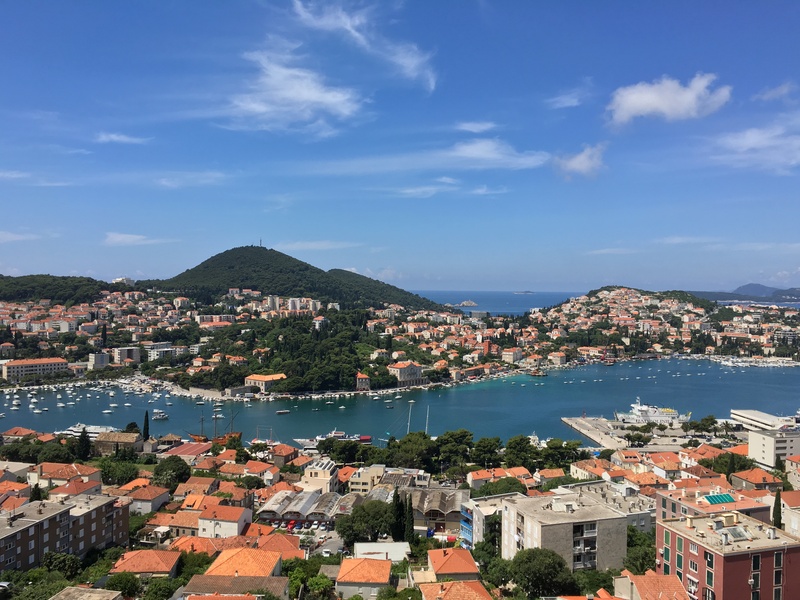 With a wide array of things to do and places to see, it is no wonder why Croatia has been deemed as one of the up and coming travel destinations within the last few years. 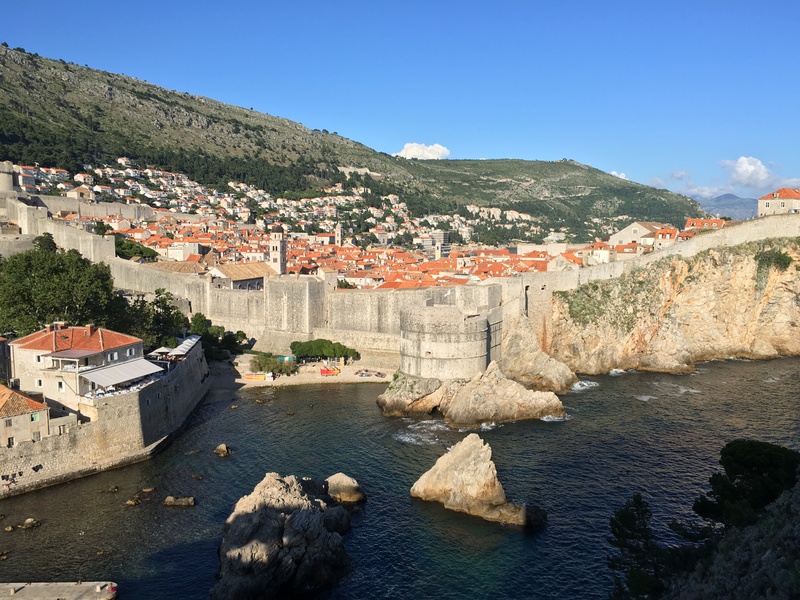 More importantly, Dubrovnik has made quite a mark thanks to HBO’s widely-popular Game of Thrones series, which I am honestly not a fan of; but due to its growing audience, as well as the frequency of cruise stops the port of Dubrovnik has continuously opened to, the coastal city of Dubrovnik surely has been making a mark in the tourism sector. 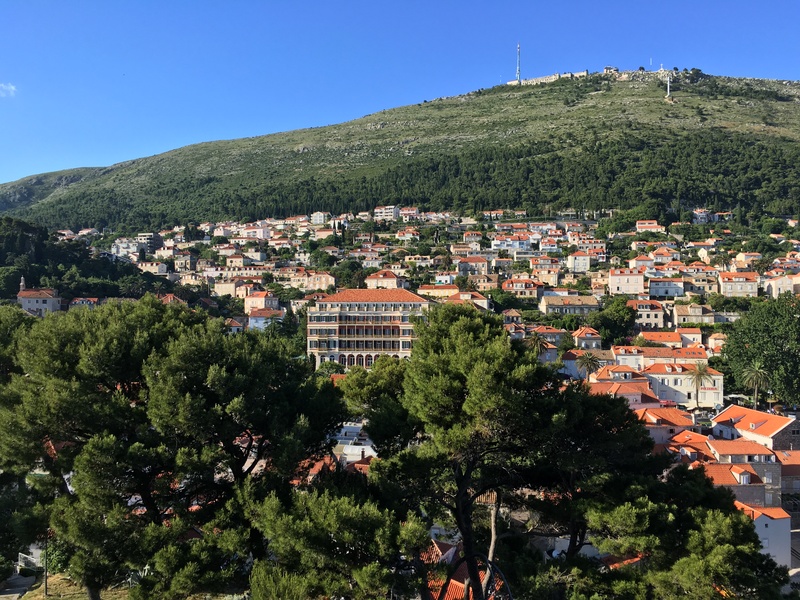 There were so many accommodation options I came across while planning our trip to Dubrovnik – from hotels to apartments, yet I was drawn to one property in particular: Hotel Adria. 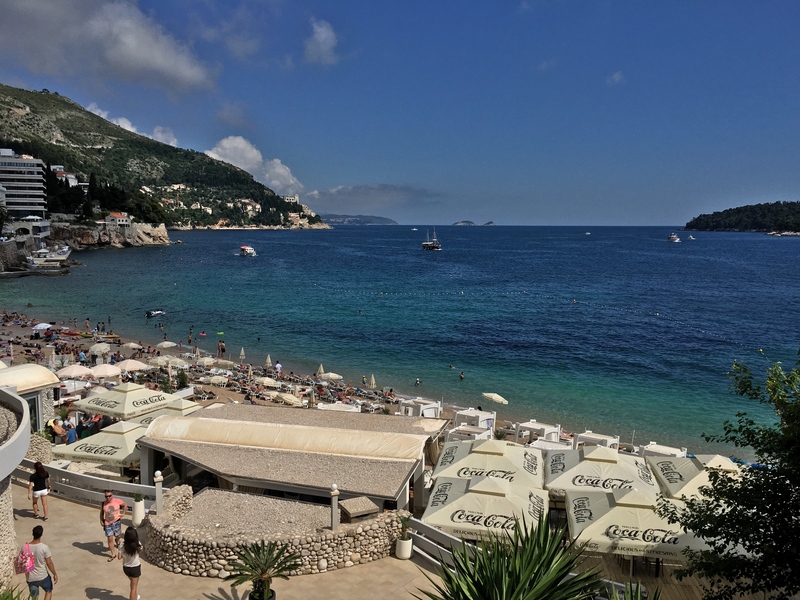 First off, Hotel Adria has all the amenities you would need from complimentary daily breakfast, complete amenities in the room with a small work desk, a mini-fridge, and a balcony – only if you get the Sea View Room; and all this at a reasonable price. 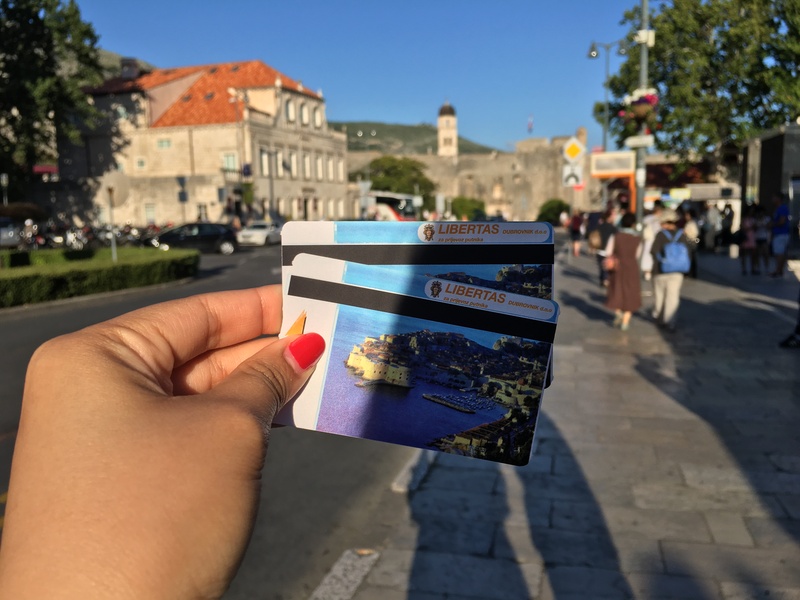 Its proximity to the Old Town, which is the main attraction in the city, is a 5 minute drive away and is not really within walking distance; but the route is easily serviced by one of the city buses – information & tickets can be obtained from the front desk – or via the hotel car at a fee. Going back to the hotel from the Old Town is easy as well with an abundance of taxis in the area awaiting tourists, or another option would be to take the bus service that stops right in front of the gates of the Old Town. The main thing that attracted me to this property, however, was the view from the Sea View Room, which we paid for at a premium compared to the normal rooms, but the Sea View did come highly recommended. 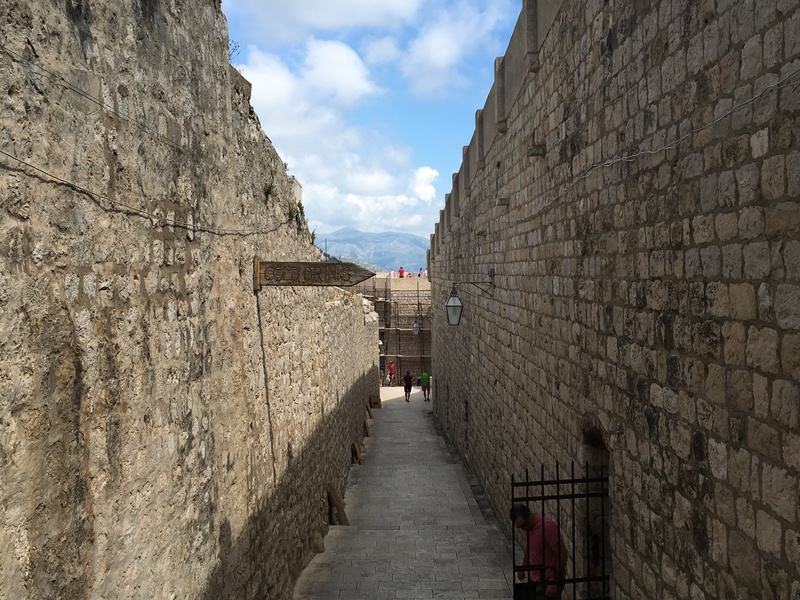 True enough, upon arriving we were graced with an incredible view of the Mediterranean Sea. So if you can, do book the Sea View Room, so you can wake up to this glorious view every morning. 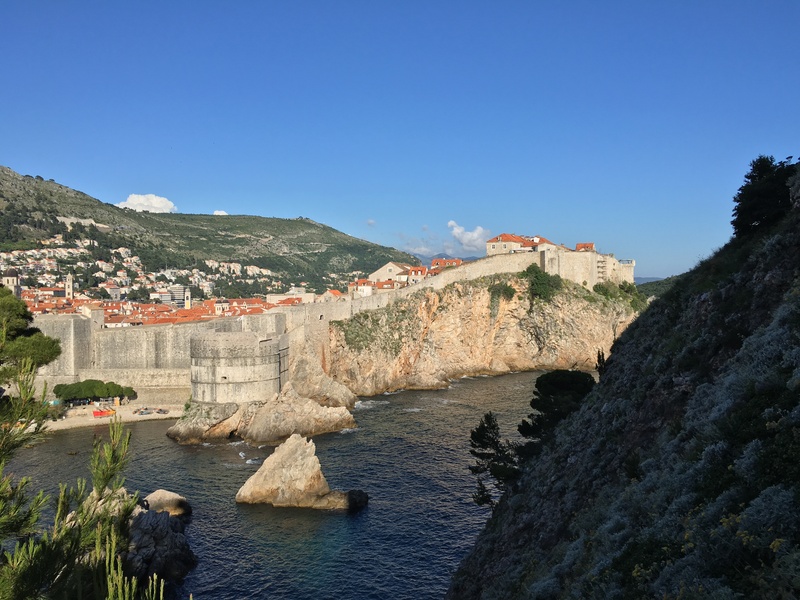 Excited as we were to arrive in the beautiful Croatian city of Dubrovnik, we had to take two flights, namely: Brussels to Zagreb and Zagreb to Dubrovnik via Croatian Airlines. 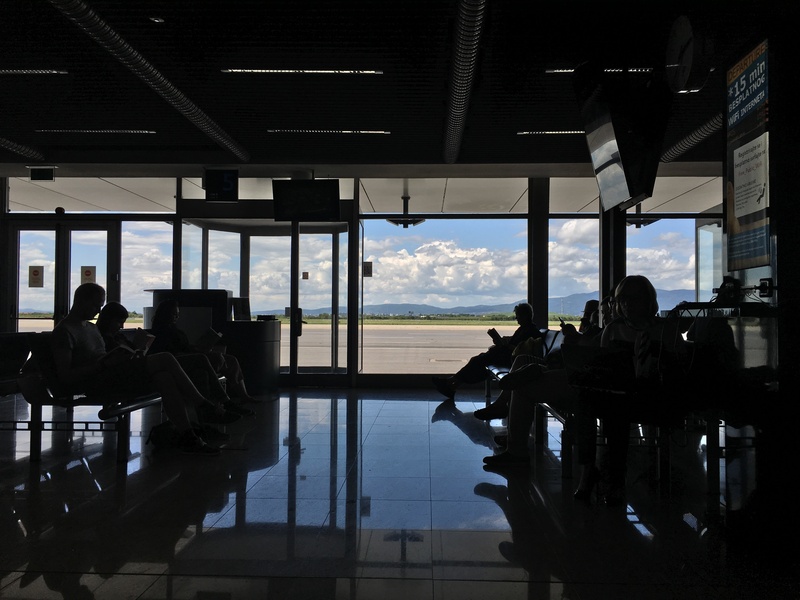 While there were no delays for our first flight, our plans to arrive mid-afternoon in Dubrovnik were hampered thanks to the delay for our second flight for around two and a half hours; and even worse: there’s nothing to do in Zagreb Airport! 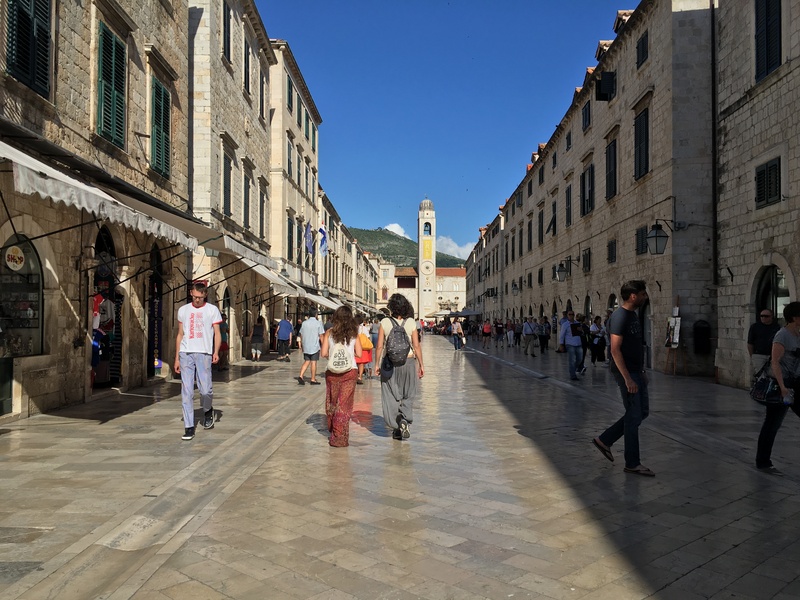 As we finally arrived into the Dubrovnik Airport later than originally planned, we were picked-up by our previously-arranged hotel van and arrived into the city at around half past 5 in the afternoon. Luckily, we were there in May, which meant the sun wouldn’t set until 8PM. 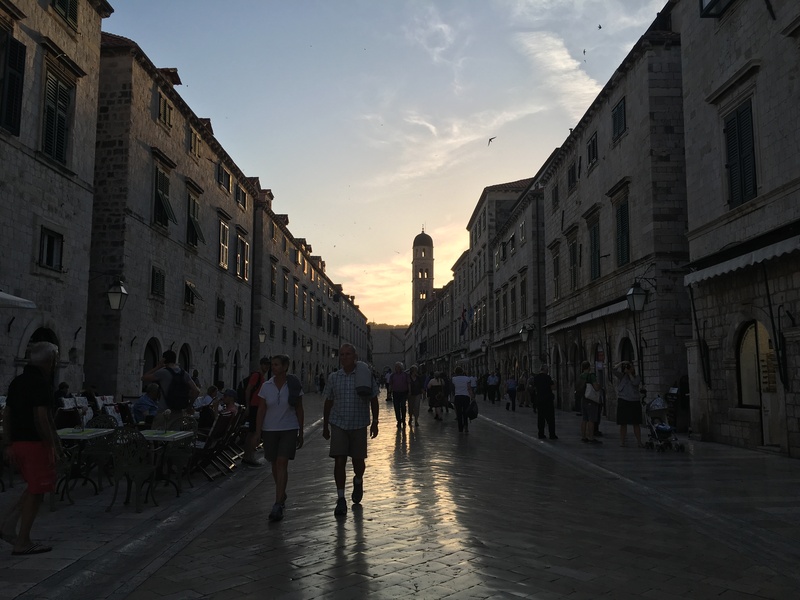 Upon checking-in, we hurriedly took the hotel car to the Old Town. 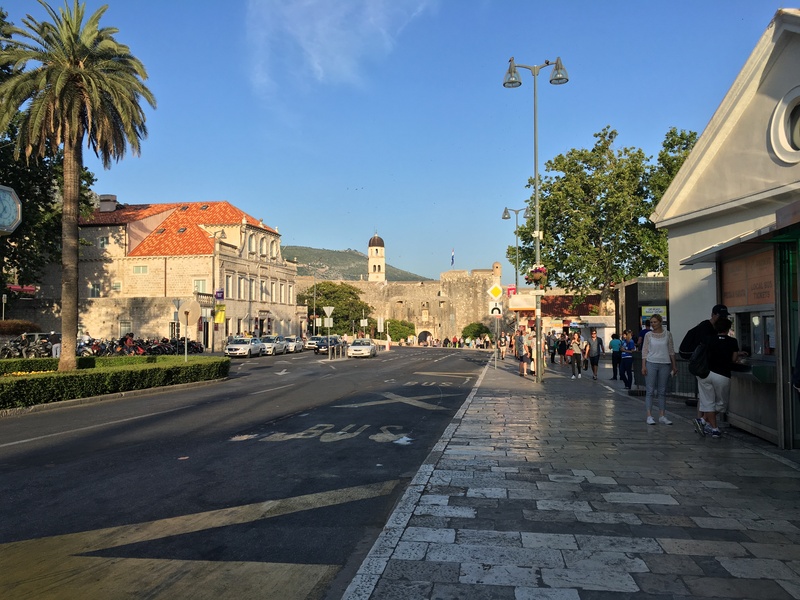 The Old Town’s entrance is right by the bus stop / taxi drop-off point, pictured below, proving that the Old Town is easily accessible from the hotel. 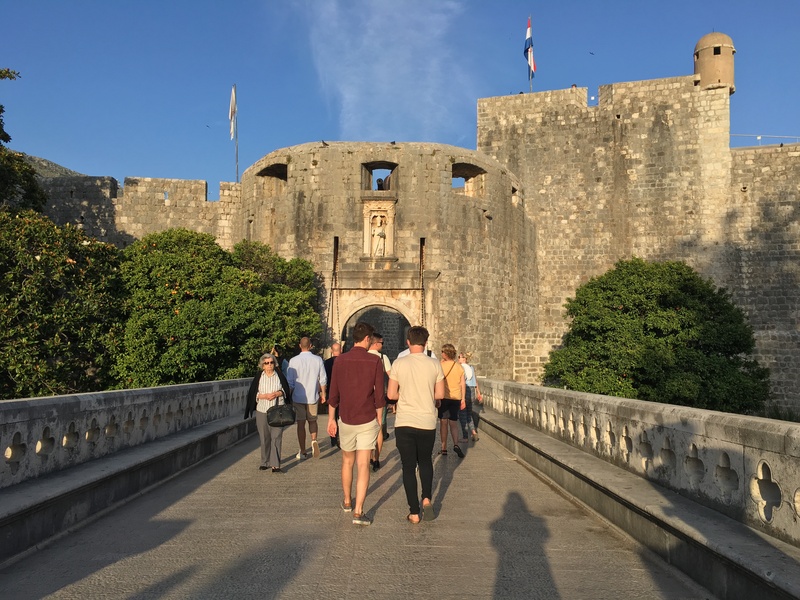 Surrounded by City Walls, the beautiful Old Town of Dubrovnik takes you back in time and as you walk past the entrance, namely: the Pile Gate. 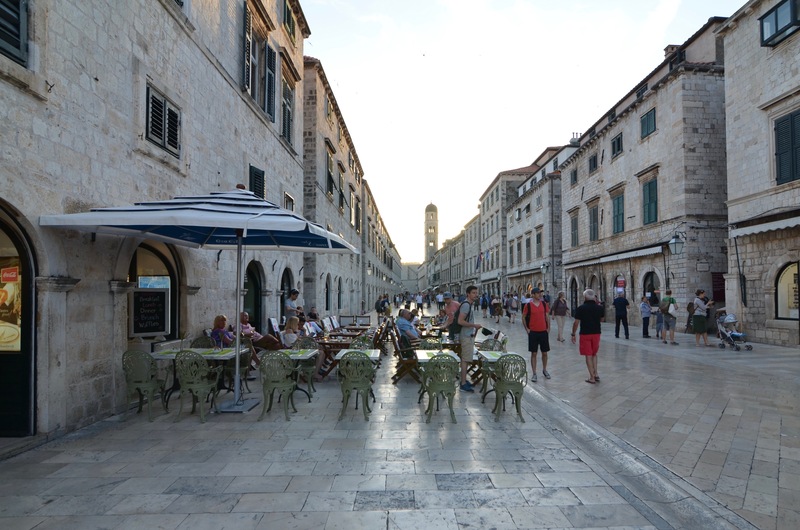 Our intro to Dubrovnik continued on the main limestone-paved 300-metre street that runs through the Old Town: Stradun. 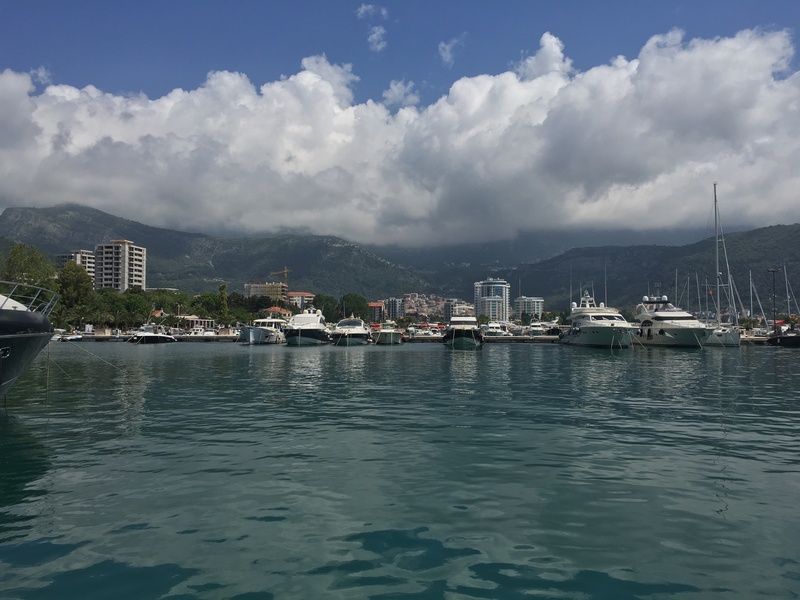 This stands as the city’s promenade with a multitude of restaurants and cafes to choose from, a few museums, and several retail shops you can explore at your pleasure. 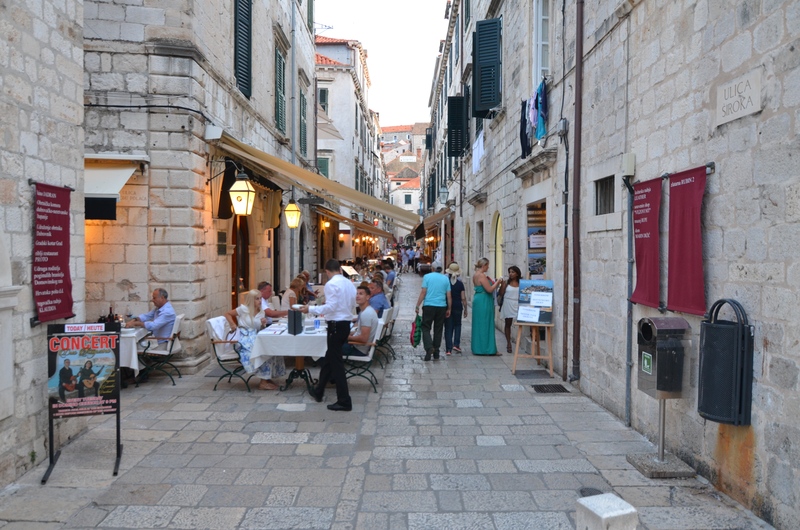 There are also adjoining streets perpendicular to Stradun that are also worth exploring. 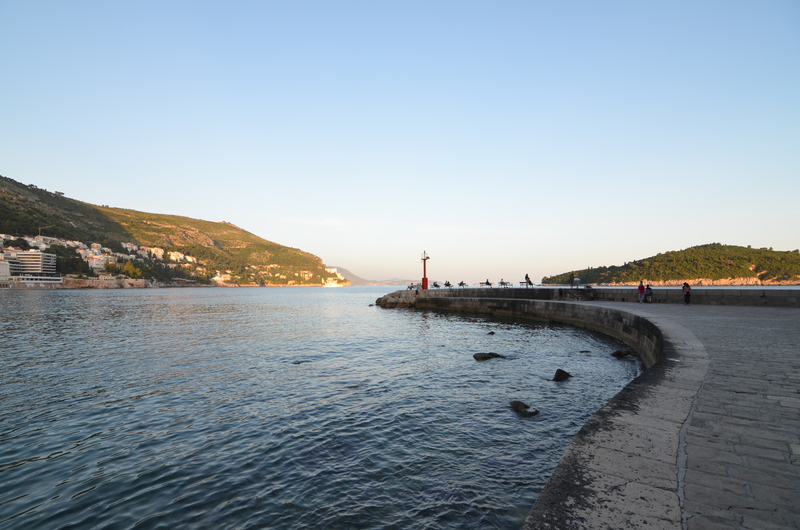 Before catching a taxi back to the hotel, we walked past Stradun and reached Porporela, which was the old harbour, but now serves as a walkway offering a panoramic view of the neighboring Lokrum island and the Mediterranean Sea. Truly, this is one of the best places to catch the sunset. 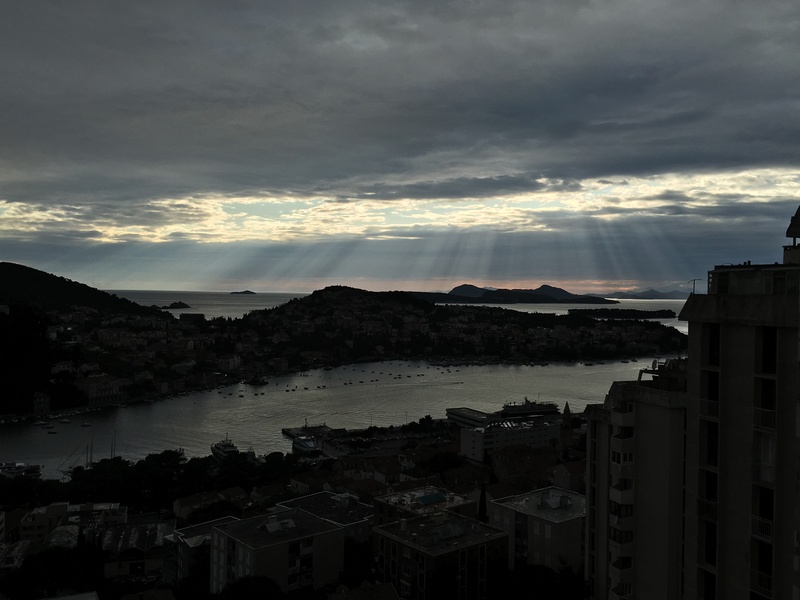 As we arrived back in Hotel Adria and the sun had set, we were once again graced by the majestic view from our room’s balcony, where we spent the rest of our nights having dinner and drinks in. 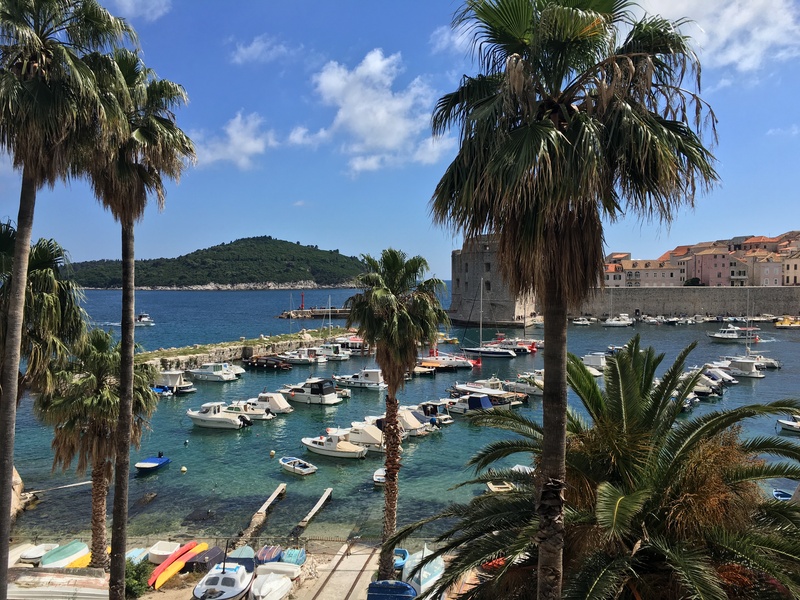 Again, we were reminded of why Hotel Adria was our best choice for our accommodation in Dubrovnik, and why it should also be yours too. 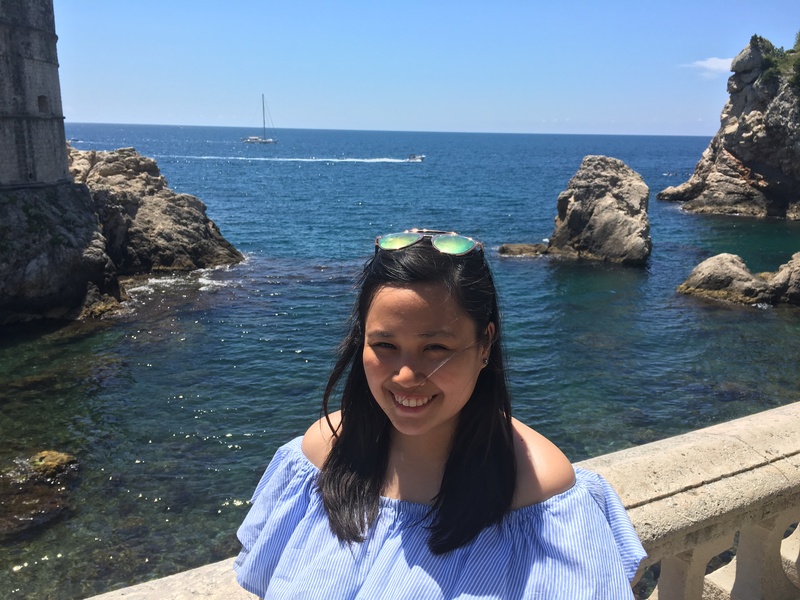 The next day, I woke up earlier than usual – at around five in the morning, as I watched the sun rise over the Mediterranean Sea from our balcony, anticipating the day of exploring we had ahead of us. 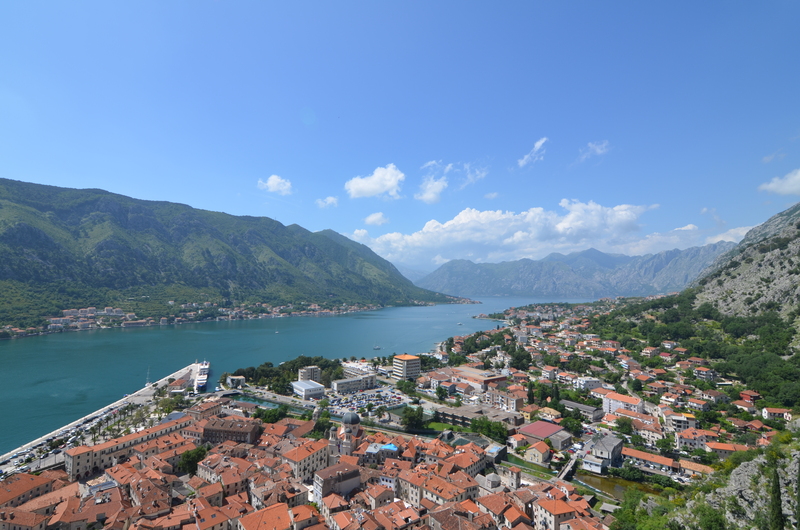 With the tour company Adriatic Explore, we booked a day trip from Dubrovnik to Montenegro and had the chance to visit several places in this gorgeous mountainous & coastal country, such as: the Bay of Kotor, Budva, and the town of Kotor. 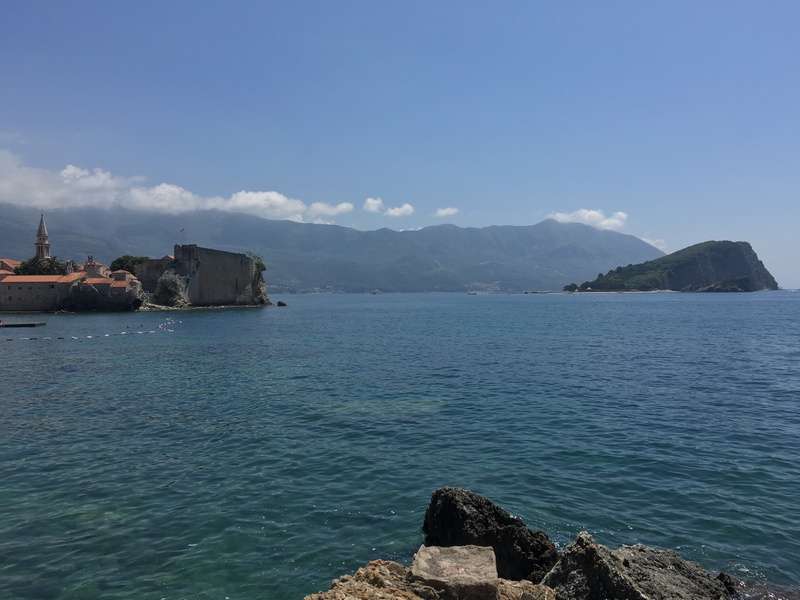 Should you be interested in the same day trip, you can visit my post: Montenegro Day Trip from Dubrovnik with Adriatic Explore for my full review and all the tour details. 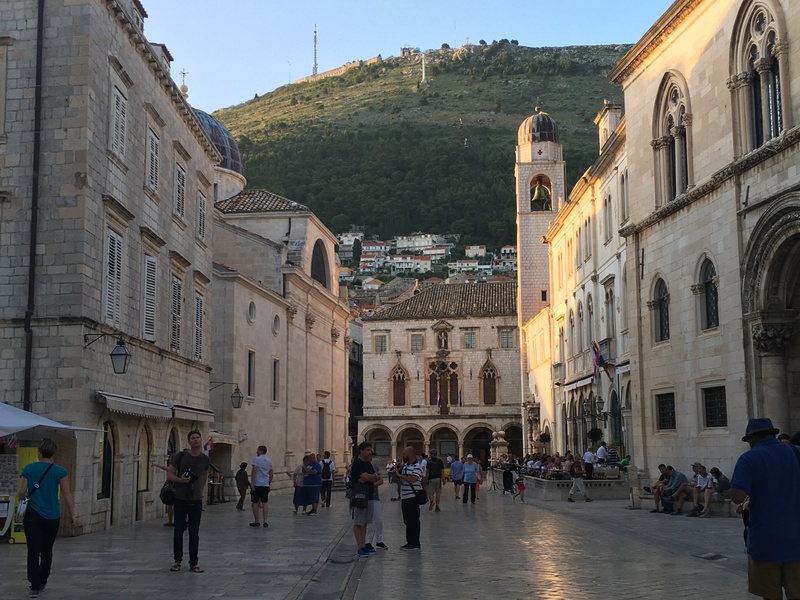 The tour ended with our hotel drop-off at around six in the evening, giving us more than enough time to head back to Stradun and make a few purchases. 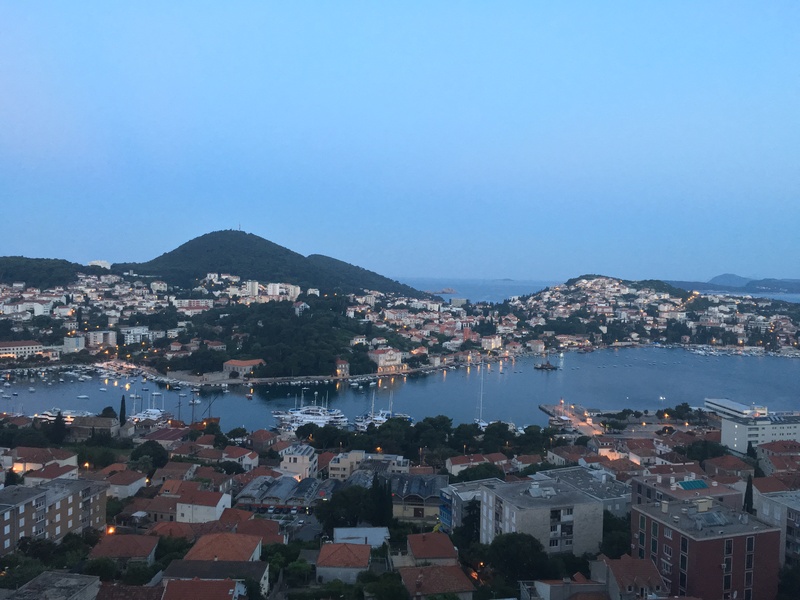 Since we were simply in love with the view from our balcony, we decided to get dinner from the Old Town and head back to the hotel. 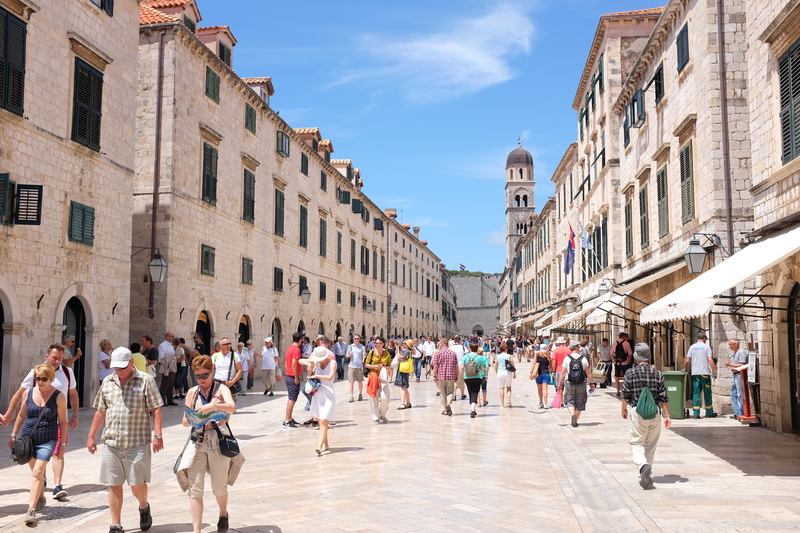 We did spend an hour or two, walking through Stradun. 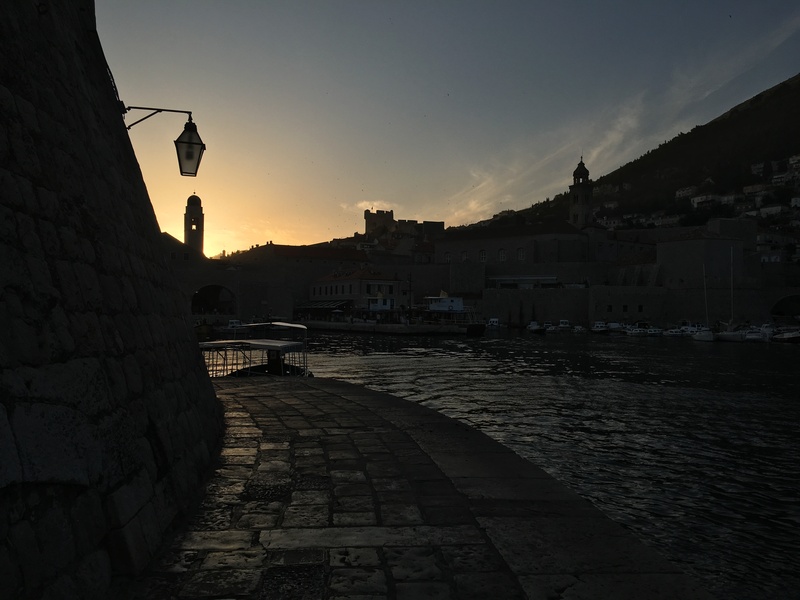 The Rector’s Palace, situated on the right-hand side of the photo below is another place we walked past during our evening in Dubrovnik, located at the end of Stradun right before the Old Port. Now standing as a local museum, the square fronting it is also a must-visit if you’re ever in the city. 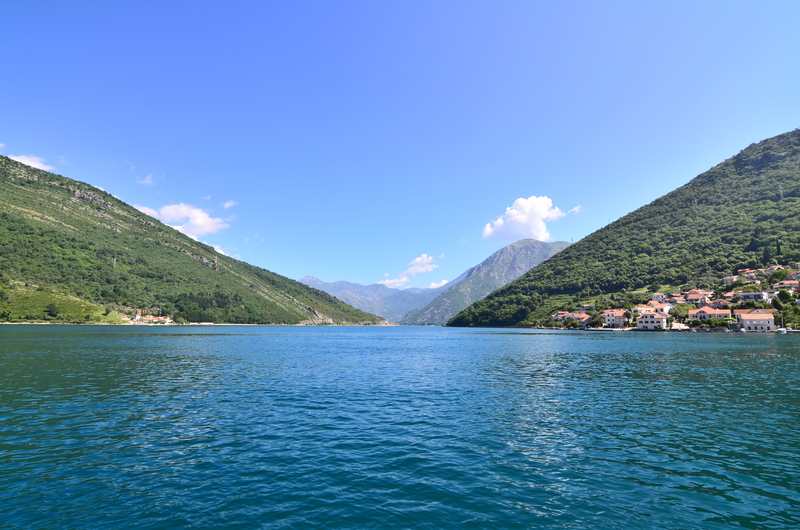 The following day had us bright and early once again, as we ventured out on another day trip with Adriatic Explore. 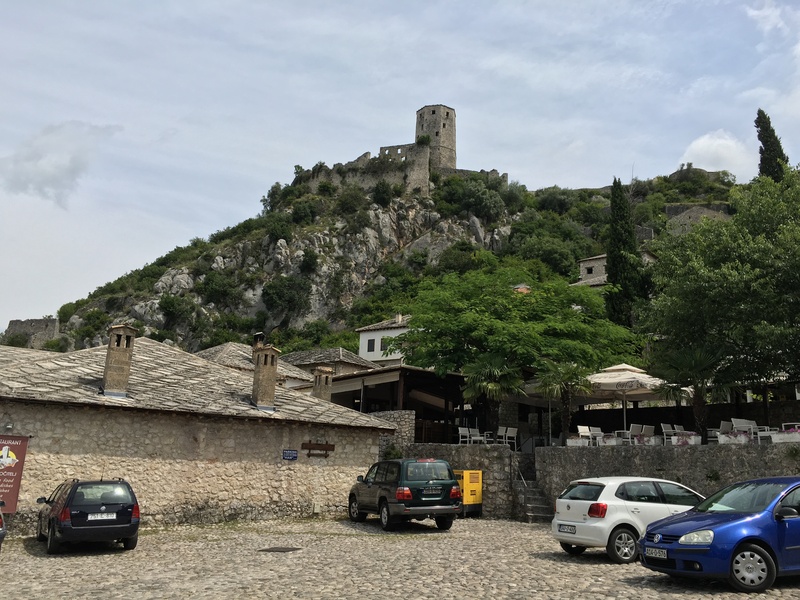 This time, to the my 40th country visited: Bosnia and Herzegovina, where we visited the village of Počitelj and the city of Mostar. 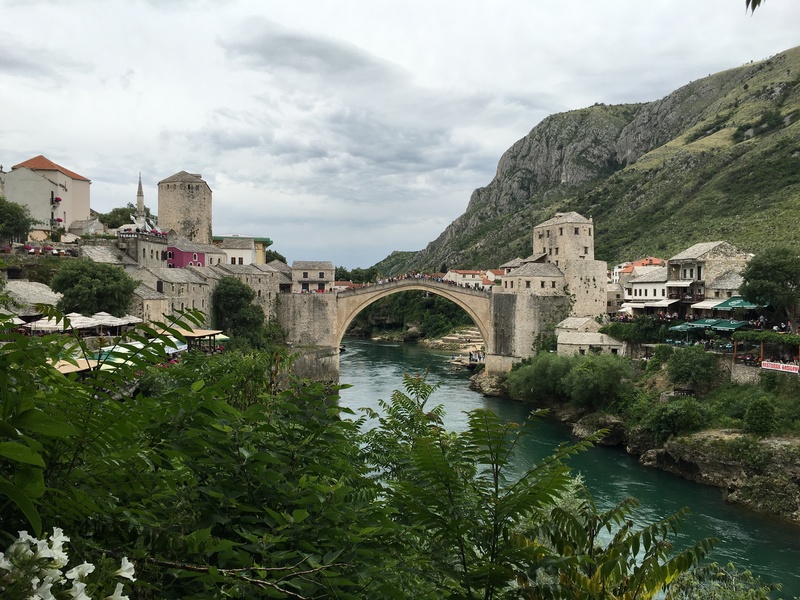 For more tour details and my full review, visit my post: Mostar Day Trip from Dubrovnik with Adriatic Explore. 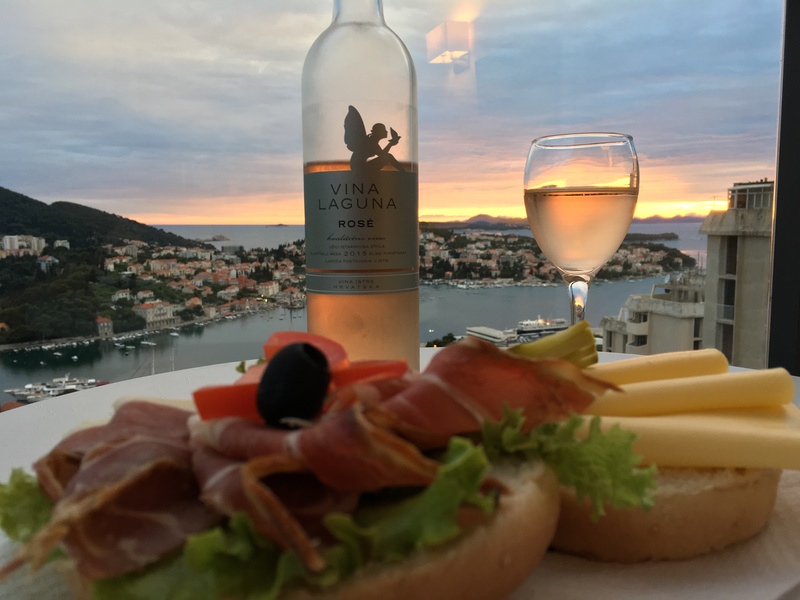 That evening, upon arriving at around six in the evening, we decided to order in from hotel’s restaurant and sit by the balcony where we had Rosé as we watched the sun set; truly, a magical experience. 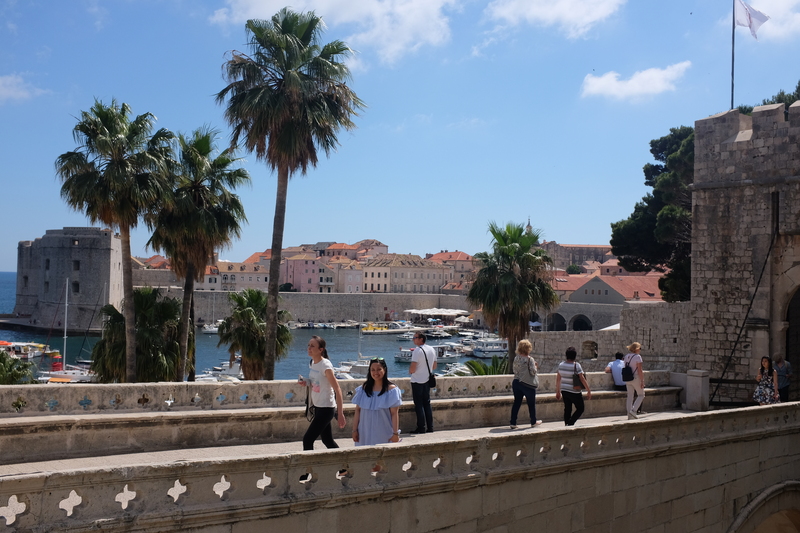 On our last full day in the city, we opted to spend it in Dubrovnik with no day trips planned; and how happy was I to have a free day in the city, with no itineraries at hand, going wherever or doing whatever we wanted. 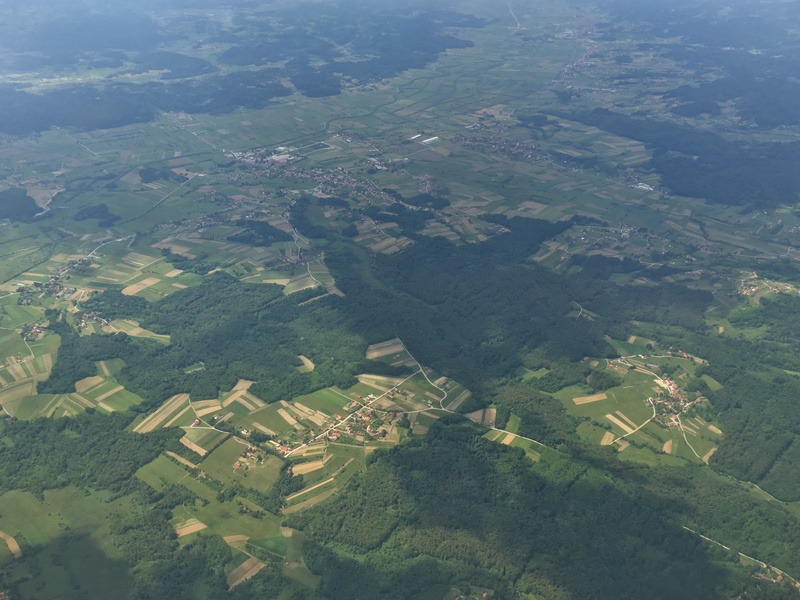 This is the one of the many things I love about traveling: setting aside at least one day as a “free day,” so we can go wherever our hearts take us. The day once again began in my favorite place in the city, where we happily picked up take-away Mojitos from this stand along Stradun. 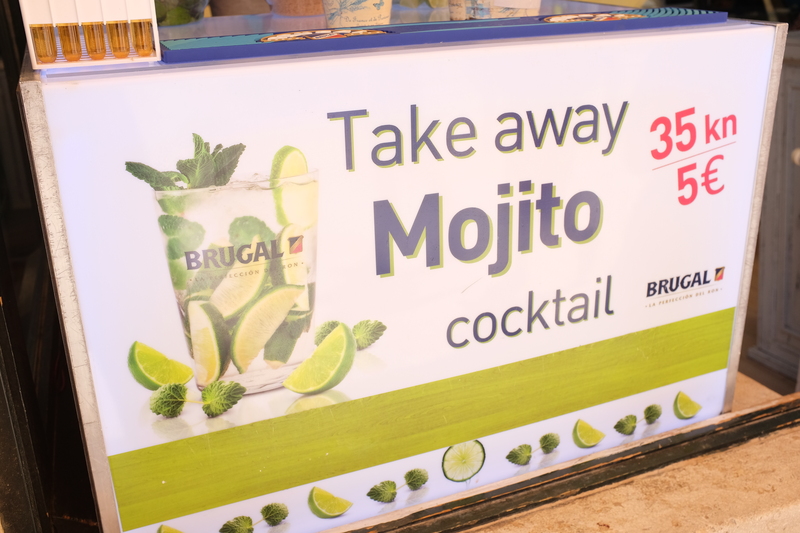 This was when I realized that take-away Mojitos are seriously the best thing, specially while you’re busy frolicking through a foreign country, exploring your day away. 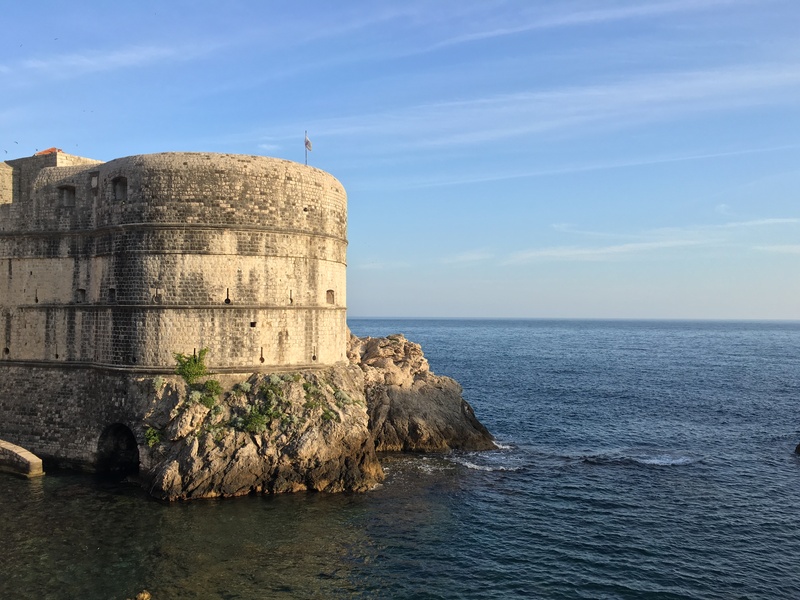 Instead of expounding on what we did on this day, here’s a little list complete with photos of the places we visited during our full day in Dubrovnik that you should visit too! Do note that since we loved the Old Town, we stayed within its proximity, as you’ll see later in the photos. 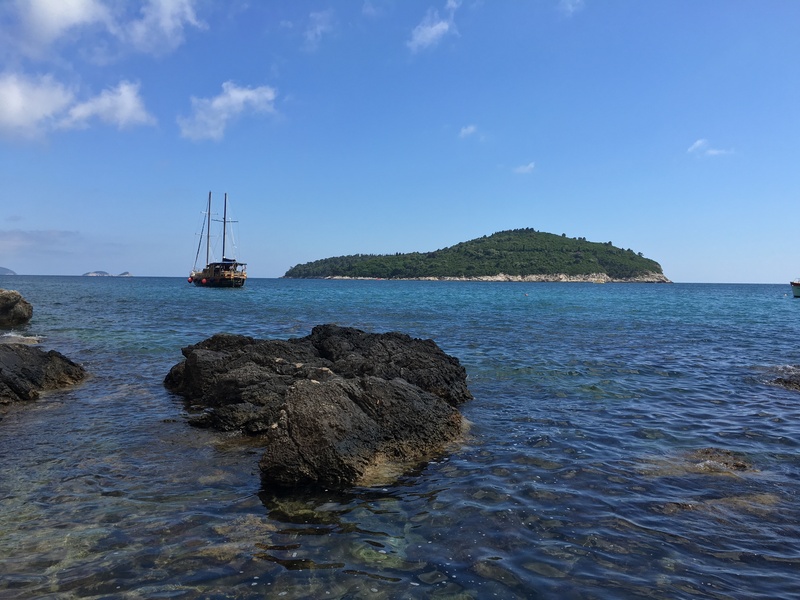 There’s a walkway leading to a set of downward steps near Banje Beach that leads to this deserted area where you could go for a swim and sunbathe, or even just to simple enjoy the fantastic view of the Island of Lokrum. As we decided to head back to the hotel early afternoon via the bus, we mistakenly thought we had missed the bus and had to wait for another 30 minutes. I say mistakenly, as we later found out we got the timetable wrong, and we were apparently there on time, just a few minutes before the bus would arrive; but thinking that the next bus wasn’t arriving for another half hour, we decided to venture out into another part of the city, while still within walking distance to the bus stop, but outside the Dubrovnik City Walls. And how fortunate we were to have made that tiny mistake, as we were able to explore more attractions in the city that are surely must-sees! 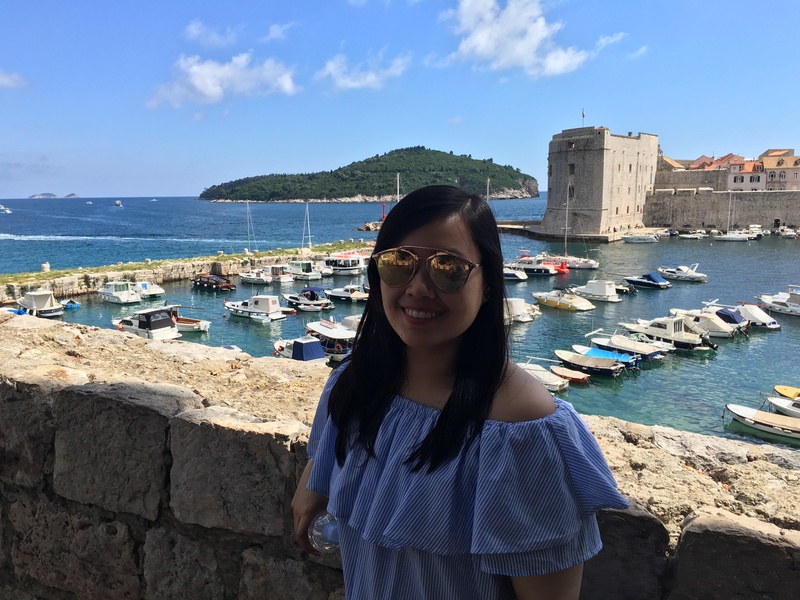 Though initially, we had felt as if we had already made the most out of this trip, the last detour as we mistakenly thought we missed the bus was the cherry on top of it all. 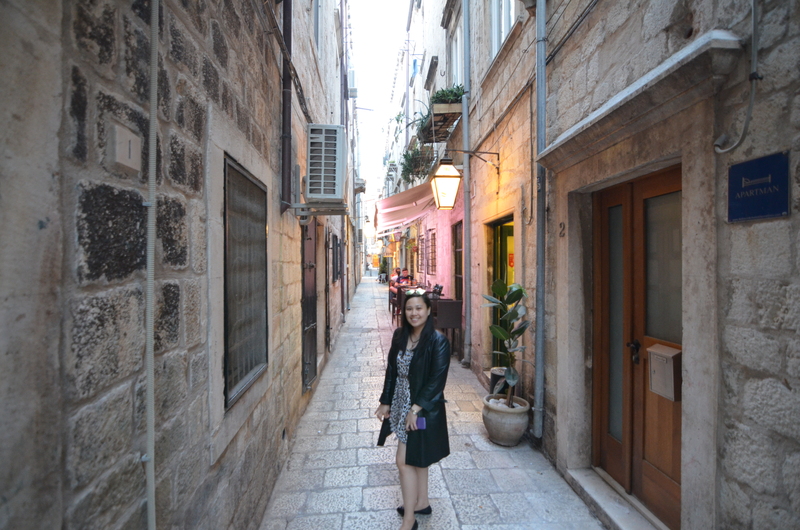 As we bid farewell to the Old Town of the Dubrovnik and its surrounding areas, we took the bus headed to Hotel Adria. 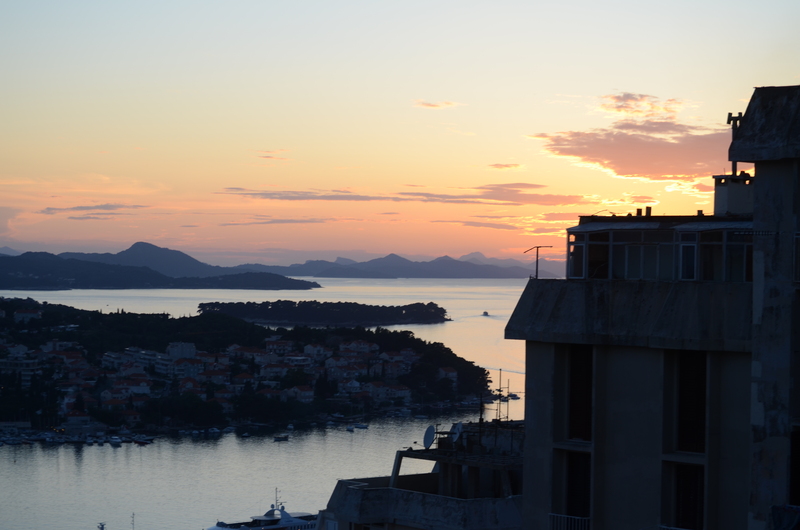 Our last night in Croatia was spent gazing at the sunset from our hotel room balcony, as we were sad to be leaving in a few hours. Scheduled to depart early in the morning – too early, I might say. 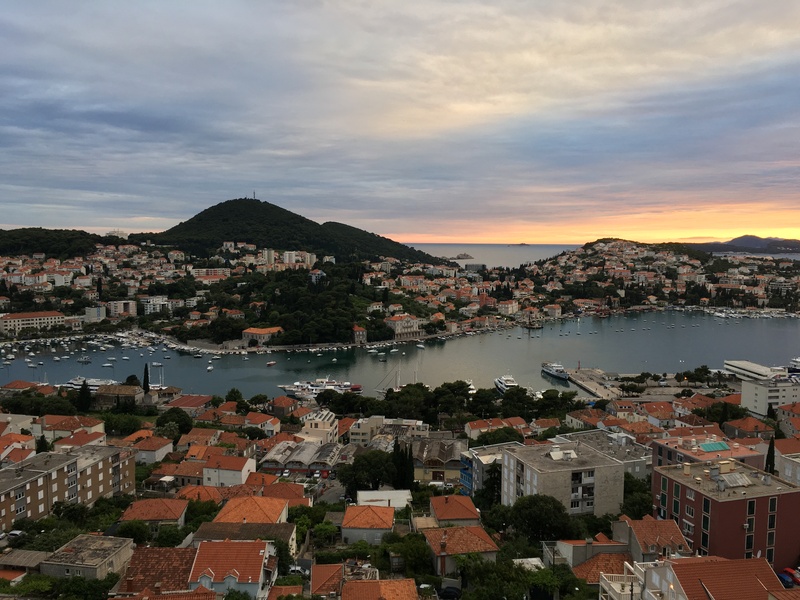 We departed from Hotel Adria before sunrise, and flew out of Dubrovnik into Zagreb for a connecting flight to Copenhagen. Sad as I was to have left this majestic country that I have yet to explore more of, I felt blessed to have seen a bit of it. 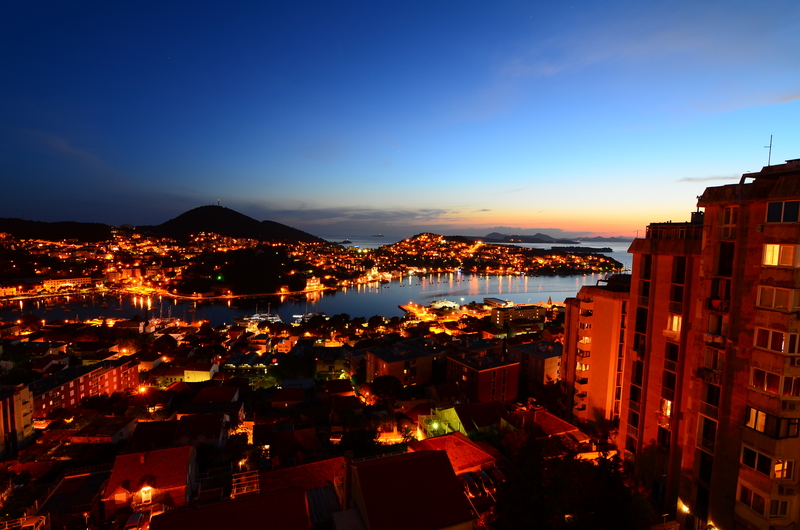 Because of the many things I dream of doing in Dubrovnik, I definitely have to go back. 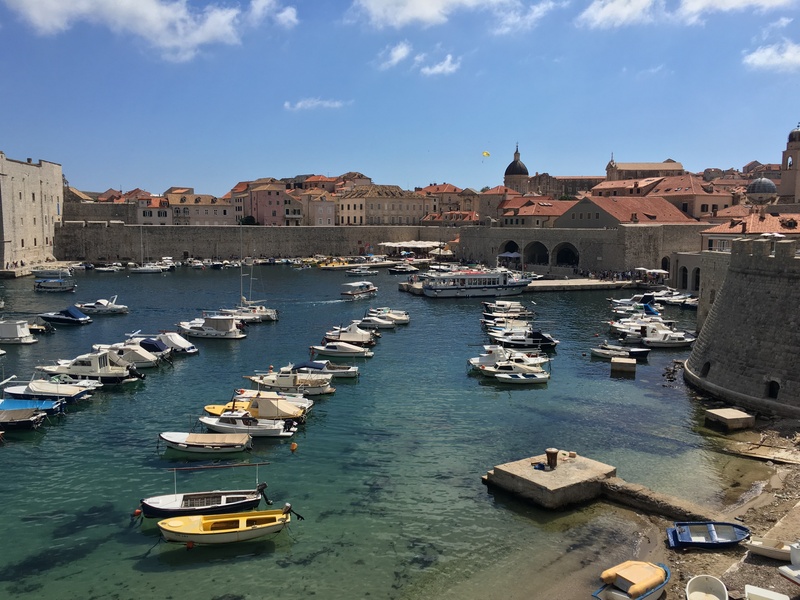 There is just so many things to do and places to see in this dazzling underrated Mediterranean destination, which is why I suggest you should spent at least a week in Dubrovnik; but if you’re only there for a short while – just simply exploring the Old Town will leave you breathless, and will surely be worth the trip. 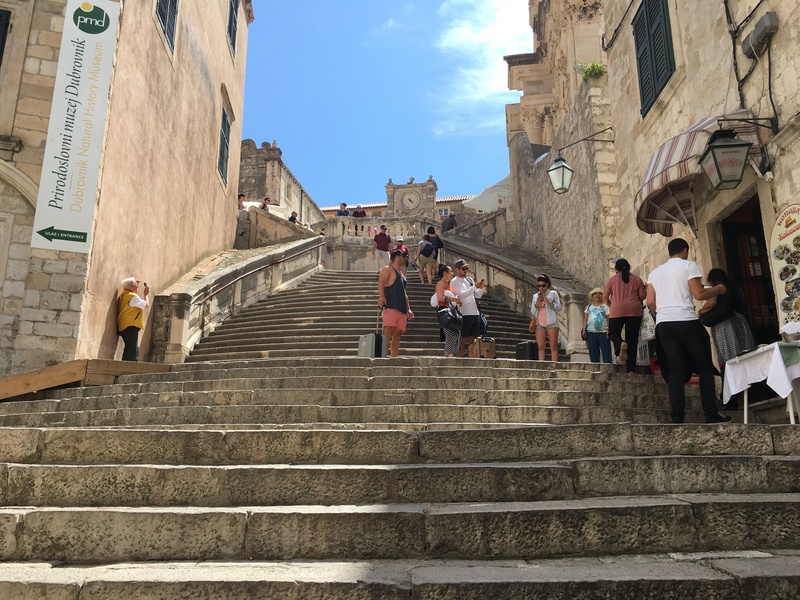 I do hope that this little post has convinced you one way or another that Dubrovnik truly is a one-of-a-kind destination offering the world’s best excursions, and that it should be on everyone’s travel list. 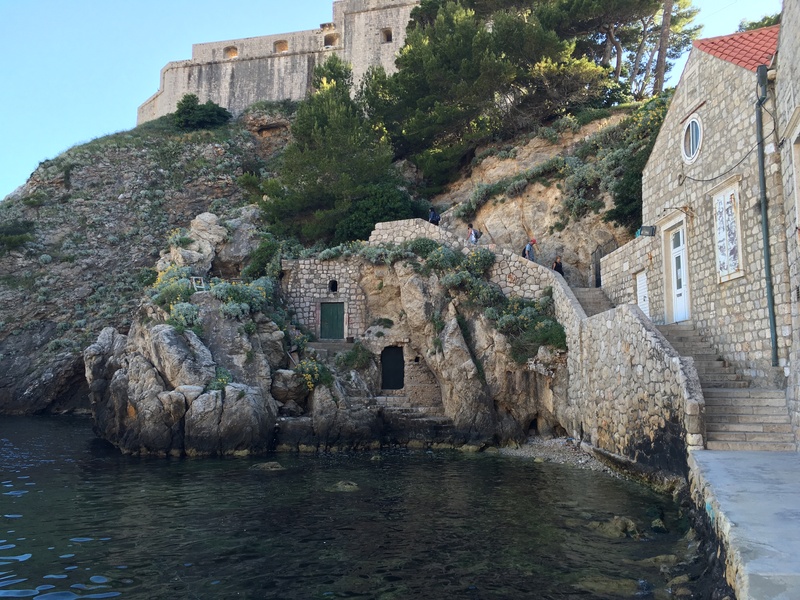 If you, on the other hand, are in the process of planning your trip to Dubrovnik as you’ve come across this post, then get ready for a trip of a lifetime!